Just minutes from downtown Portland, the JCA is a beautiful new building completed in early 2017. Easily accessible from routes 295 and 95, the JCA offers warm, modern and welcoming spaces to accommodate gatherings and events of every size. For meetings, performances, social gatherings, panel discussions and lectures, we have a space for your event! Our largest event space, The Sam L. Cohen Community Hall accommodates up to 150 people theater style and up to 96 people banquet style. Its features include a built-in screen and projector as well as a fully integrated audio system. Additional features include a speaker’s podium and both wired and wireless microphones. 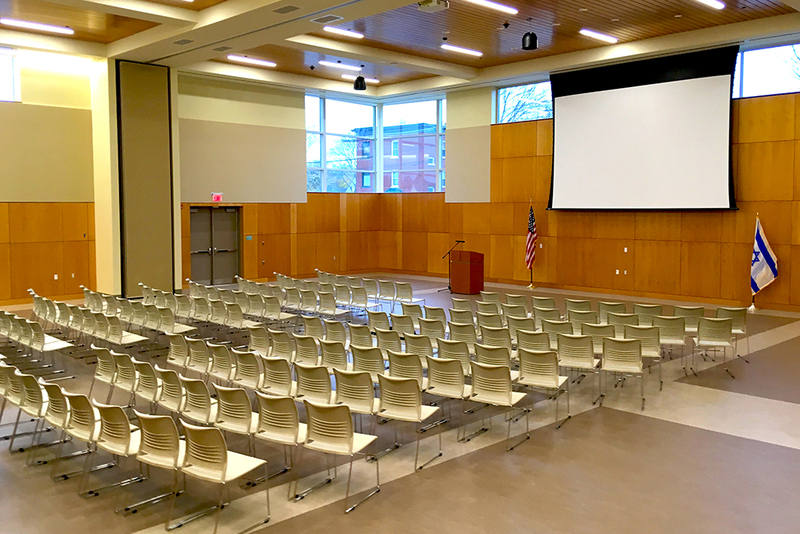 The Sam L. Cohen Community Hall has a built in partition making this space perfect for large conferences, parties or smaller more intimate events. 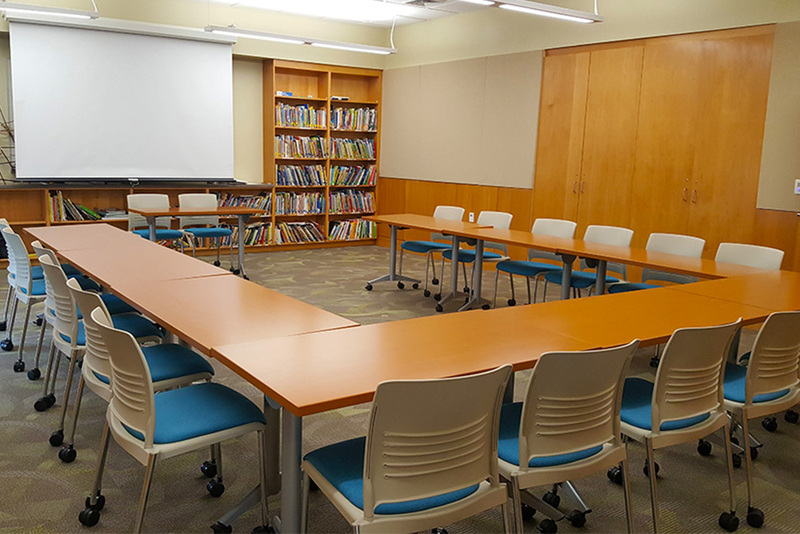 The Albert Glickman Board Room accommodates up to 20 people. Its features include multiple electrical outlets and data ports, teleconference capabilities, a whiteboard and a mounted 70” screen television for presentations. 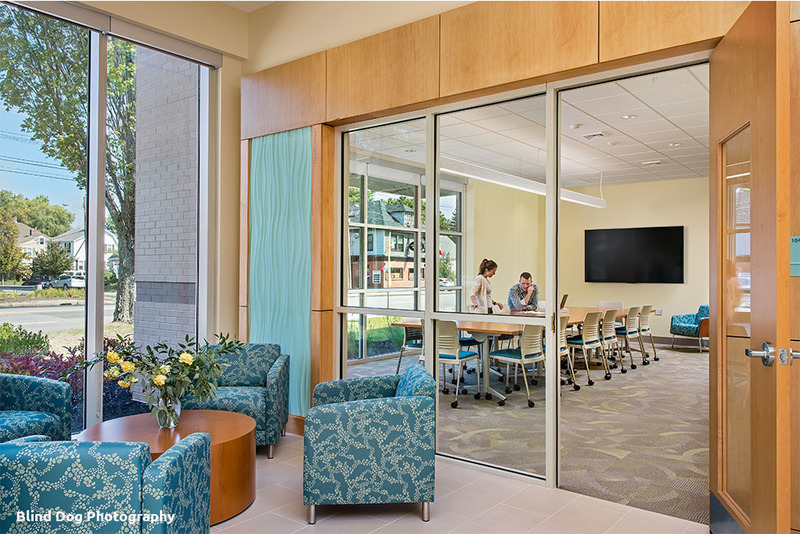 The Albert Glickman Board Room has large floor to ceiling windows that provide ample natural light and offers movable tables that allow setup flexibility. The Albert Glickman Board Room is perfect for executive meetings, group discussions or lunch meetings. The Moser Family Library accommodating up to 25 people. Its features include a built-in screen and projector as well as a whiteboard. With movable tables that allow versatile setups, this intimate space is ideal for community group gatherings, lunch meetings or small baby showers. 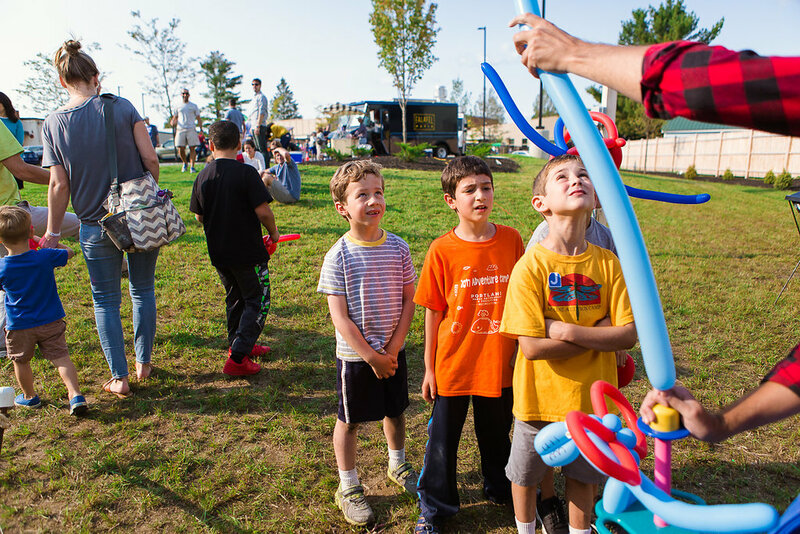 Located on the edge of the property the Great Lawn & Activity Space accommodates a 20x40 tent and extra space for outdoor activities. This space is well suited for cocktail receptions, small dinner gatherings or just a play space for the kids in your event.